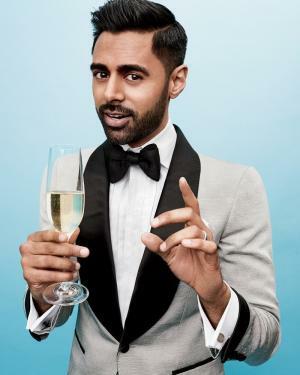 How rich is Hasan Minhaj? As of early-2018, sources estimate a net worth that is at $3 million, mostly earned through a successful career in acting and comedy. He’s released numerous comedy specials, performed stand-up in various locations, and also participated in other television shows. As he continues his career, it is expected that his wealth will also continue to increase. At a young age, Hasan lived mostly with his father who worked in the US as a chemist, while his mother returned home to finish medical school. He attended the University of California, Davis where he studied political science, but after seeing the stand-up special “Never Scared” by Chris Rock, he became very interested in comedy. He started to travel to San Francisco to perform, and won the competition “Best Comic Standing” held by Wild 94.9. After his victory, he started working as an opening act for other comedians, including Pablo Francisco and Gabriel Iglesias, and writing for comedy too, so more opportunities came his way, and his net worth started to increase. Minhaj then performed in “Stand-up for Diversity”, in which he became a finalist. Two years later, he became a regular cast member of the sitcom entitled “State of Georgia”, before getting numerous roles in the hidden camera show “Disaster Date”. He also made guest appearances in the shows “Getting On” and “Arrested Development”, before in 2014 trying his hand at voice acting, as Rabi Ray Rana in the video game entitled “Far Cry 4”. During the same year, he also joined “The Daily Show” as a correspondent, so his net worth continued to increase thanks to his consistent work. For his personal life, it is known that Hasan married Beena Patel, a doctor in 2015, and the couple reside in New York City. He also has a sister, whom he didn’t know existed until he was eight years old when his mother returned to the US from India. Her sister is now an attorney working in the San Francisco Bay Area. Hasan is also very active on social media, having over 230,000 followers on Twitter, and more than 320,000 on Instagram. Who is Hasan Minhaj, who’s his wife Beena Patel and why was the Patriot Act episode pulled by Netflix?